Hello everyone, this is Dr. Warren. I am excited today to talk with you about one of my favorite topics, ENERGY! If you are struggling with chronic fatigue and energy problems are ruining your life, this article is for you and I promise you haven’t read it before. I will go through a short checklist for investigating the cause of your fatigue, but I am going to focus on the brain because it is commonly overlooked. 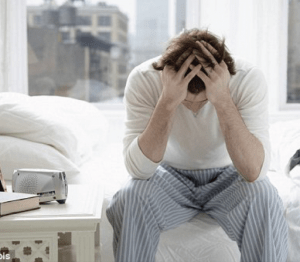 Where does Chronic Fatigue come from? When I opened my clinic over 9 years ago, I was surprised by how many chronic fatigue patients came knocking on my door. I have seen so many people whose dip in energy was stopping them from being social, from tackling their life goals, and from being the spouse, sibling, parent or professional they wanted to be. Do you have low potassium? If your potassium is below 3.6-3.7 of an electrolyte panel I’d be suspicious. Do you have enough B12? The standard B12 blood test is absolutely worthless! The test you want is homocysteine and methylmalonic acid. Is your blood sugar and insulin off? The tests to look at are fasting insulin, fasting glucose, HbA1c, Triglycerides. 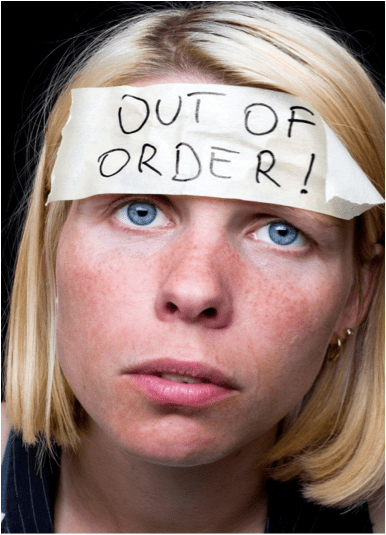 Can my fatigue be coming from my bad brain? A piece of chronic fatigue that is almost never talked about comes from some patients’ deplorable states of brain function. Often the patient doesn’t even really know how bad it is until we start doing a neurological exam in the office or start asking brain-related questions. 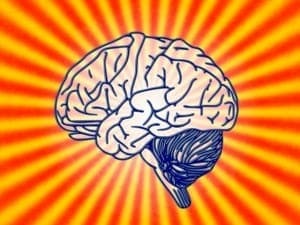 How your brain is supposed to work? As your brain grows stronger, it suppresses the sympathetic system and strengthens the parasympathetic system. This is what makes you a mature adult! Think of it this way: who cries more, a 4-year-old or a healthy 30-year-old? Who throws more tantrums, a 4-year-old or a healthy 30-year-old? As your brain breaks down, you become more like the 4-year-old. You struggle with controlling emotions (anxiety/depression), you get spillover from light and sound, sometimes giving you headaches, nausea, and irritability. Your sympathetics choke off blood flow to your fingers and toes, sometimes developing into unhealthy finger and toe nails and fungus. You stop sending signals from your vagus nerve to your gut (which means you don’t digest food as well), you don’t make enough enzymes, you will always have a leaky gut, and you might have your gallbladder removed. You feel pain more intensely than you used to and you can’t get good sleep even though you are exhausted! All these are signs that your brain is deteriorating. Fix the problems you find: If you need B12, take it until your test changes. If you have inflammation, get that down! We do a ton of work helping people improve their body function and lab findings. However, the nutritional part just gives your body a foundation to work on! Most of our patients find the brain rehab part to be totally foreign. Luckily, it is very simple and straightforward. Are you awful at spelling and remembering names? Practice spelling and name recognition. Are you horrible at distinguishing colors? Do you have terrible hand-eye coordination or balance? Do yoga and play catch. By doing these exercises, you will restore your brain’s function and greatly increase your health. As a rule, the sicker you are, the more delicate we need to be. When a patient comes in the office, we are first trying to identify what is happening. Once that is done, it often takes 3-9 months to actually work through the problem. Being chronically tired and sick means there are many ways to make a problem worse. The right nutrition in the wrong order can wreak havoc as can the right exercises in the wrong amount. We always suggest you work with professional healthcare practitioners who can help you do these rather than just doing it on your own. Thank you for reading. If you have questions please comment on our social media platforms (Facebook, Twitter, Pinterest, LinkedIn), email us or give our clinic a call. We’d love to help you with your health!